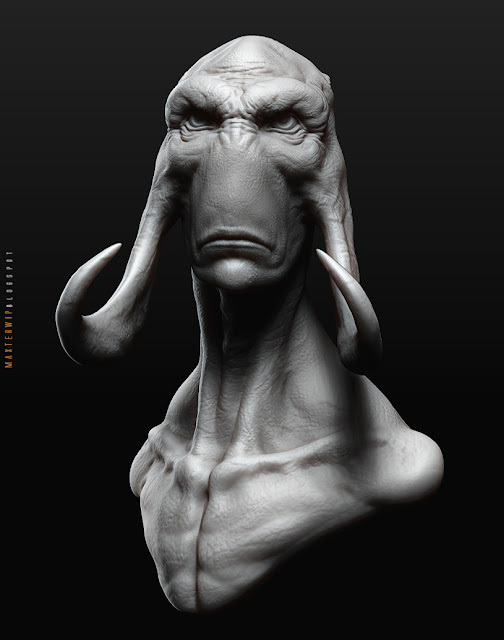 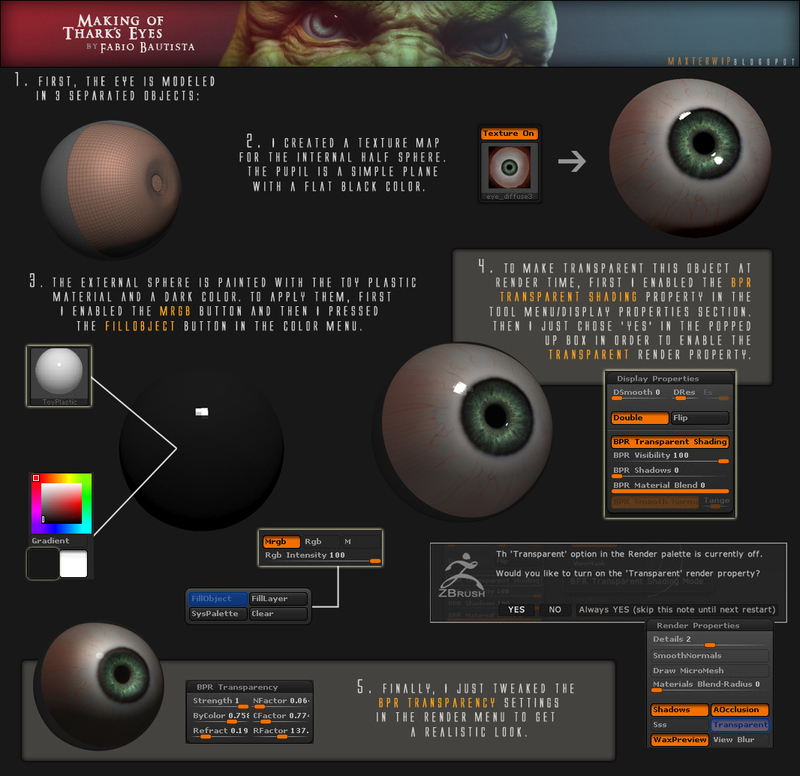 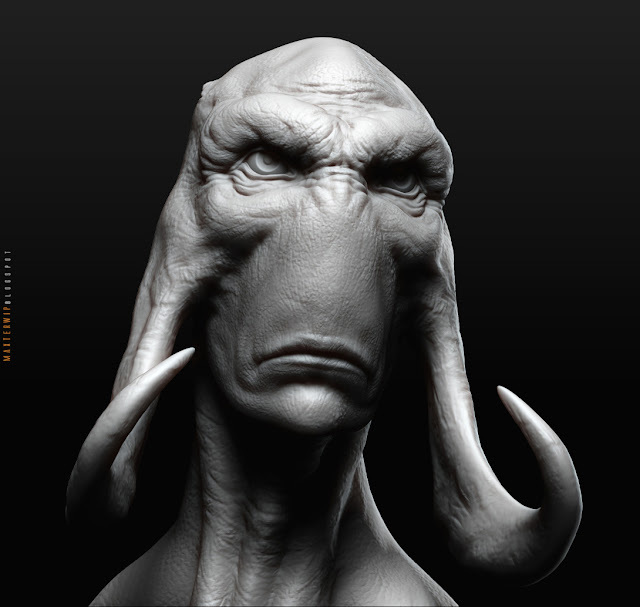 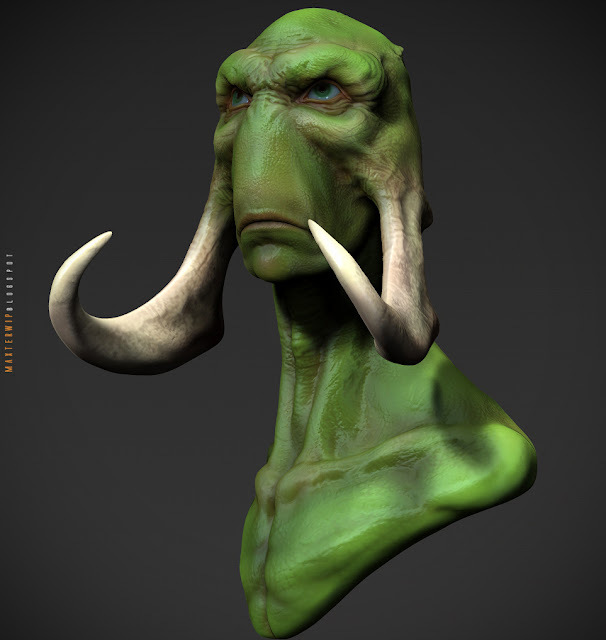 Here is the beauty shot for Thark sculpt. 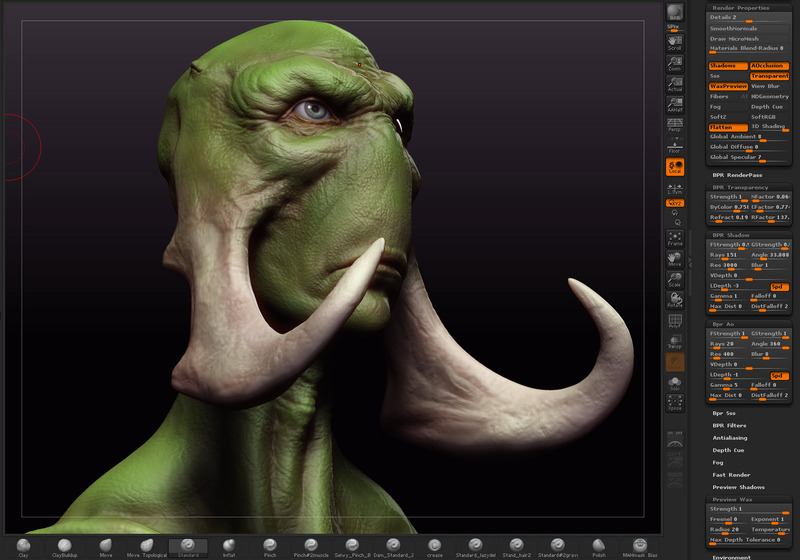 Final render done using ZBrush's BPR feature. Enjoy! 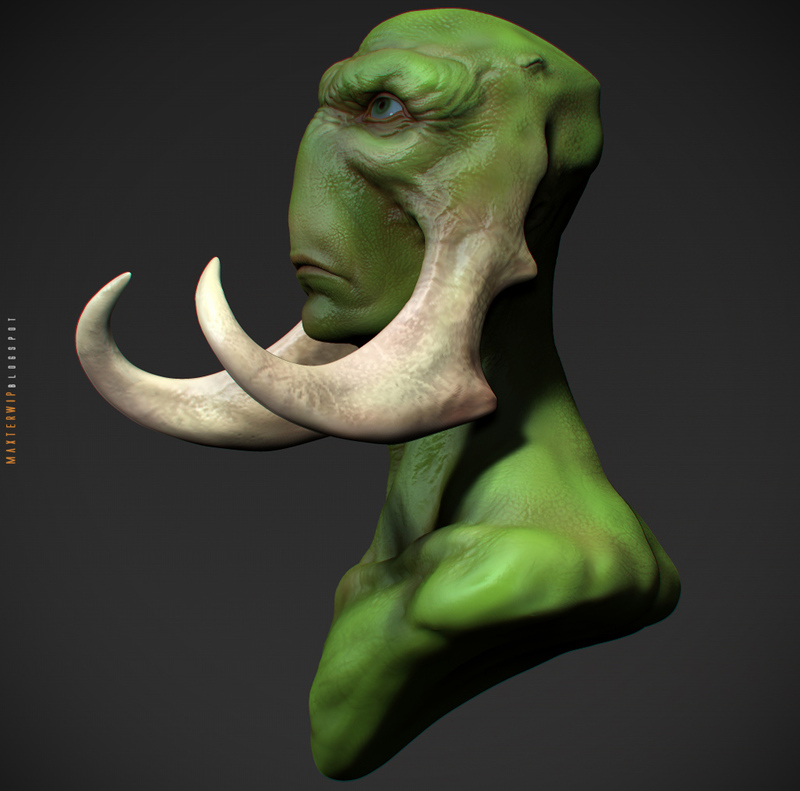 I finally did some texture work on the Thark.
.:Here is a timelapse video of the polypainting process:. 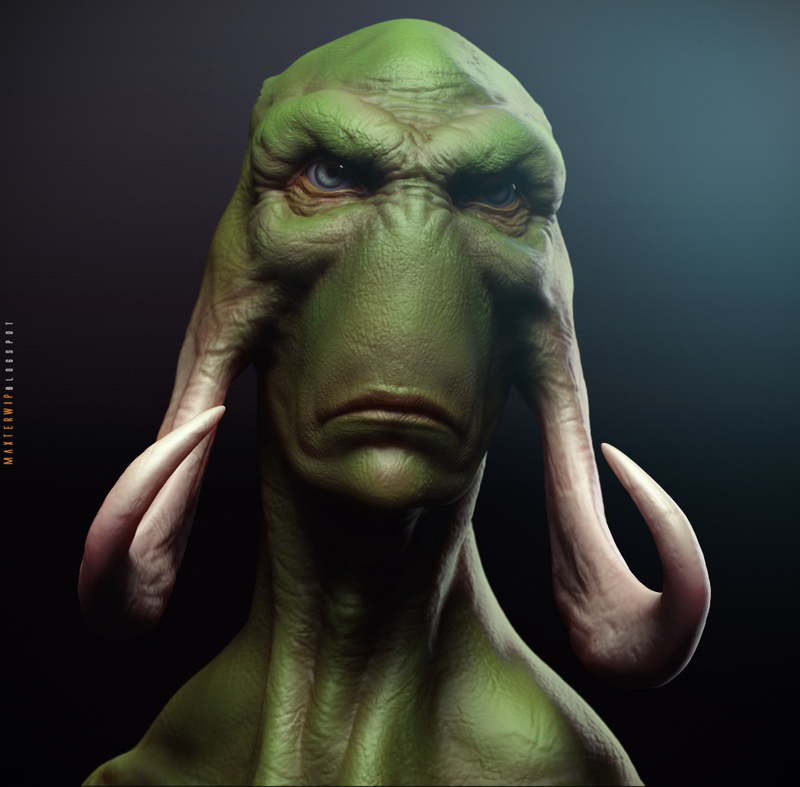 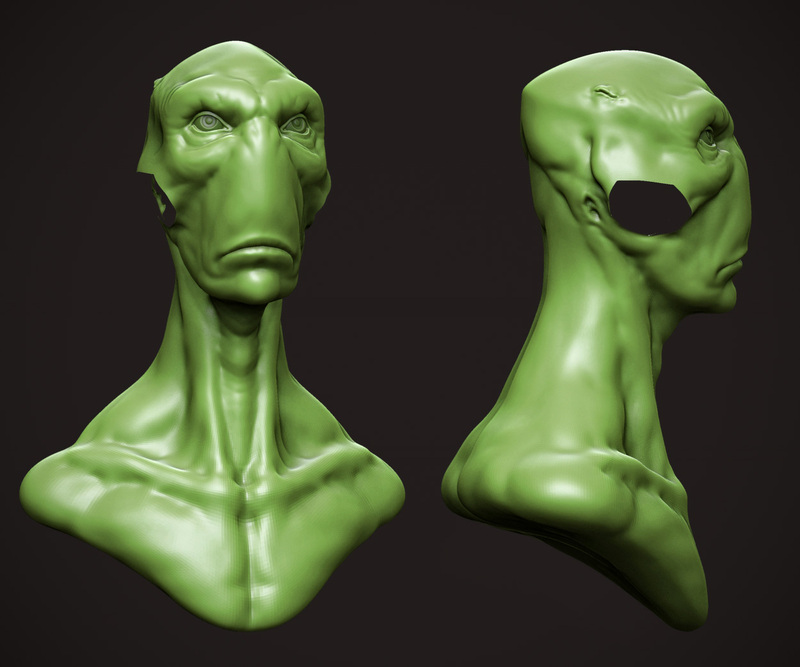 With the John Carter movie coming out soon, I couldn't resist to start a bust of one of those amazing green creatures. 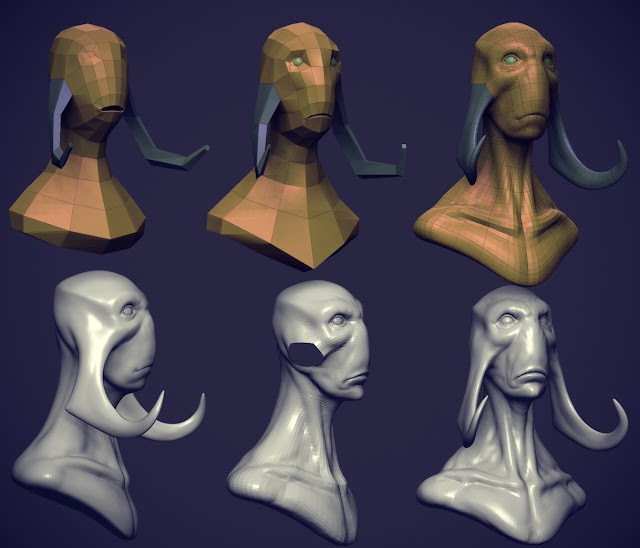 Here is some progress:.